Smashy Claw is an experimental rock band from Longmont, CO. Always striving for each song to be different from the last, the group is distinguished by their quirky lyrics and catchy, layered orchestration. Often goofy, occasionally thoughtful, and everywhere in between, they’ve been compared to acts like They Might Be Giants and Ween for their eclectic, comedic style. 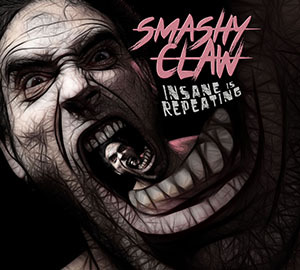 Formed in April 2011 by guitarist Austin Ash and keyboardist Nathan Long, Smashy Claw has racked up hundreds of thousands of views online, played shows across the country, been featured on the nationally syndicated Dr. Demento radio program, and written the theme song to the Orlando music festival Nerdapalooza. The duo’s new astonishingly ambitious project Claw Machine is releasing a new music video every Tuesday throughout 2016 at http://www.youtube.com/smashyclaw. Smashy Claw is an experimental rock band from Longmont, CO that makes catchy songs with quirky lyrics. Often goofy, occasionally thoughtful, and everywhere in between, the group has been compared to acts like They Might Be Giants and Ween for their eclectic, comedic style. Smashy Claw is an experimental rock band that crafts catchy tunes with quirky lyrics. CHOMPCHOMPCHOMP video amasses over 50,000 views online. Wrote the theme song to the Florida music festival, Nerdapalooza. Featured on the popular “Weird Al” Yankovic tribute album, Twenty-Six and a Half. Nominated for a Logan Award for Excellence in Comedy Music in 2013.